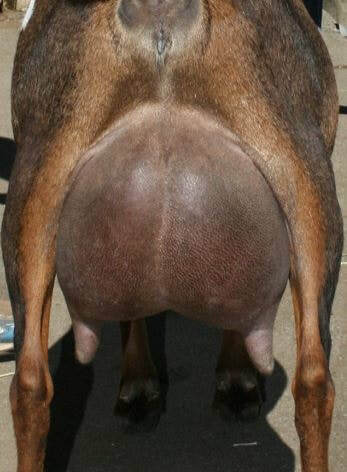 Her Maternal Grand Dam is SGCH Algedi Farm DJ Honey Dew 5*M (EEEE 91 @ 04-01). 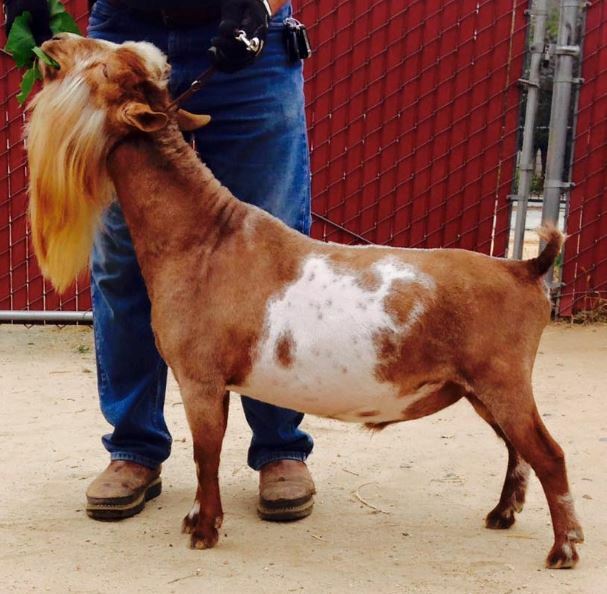 Honey Dew has definitely made her mark on the Nigerian breed. 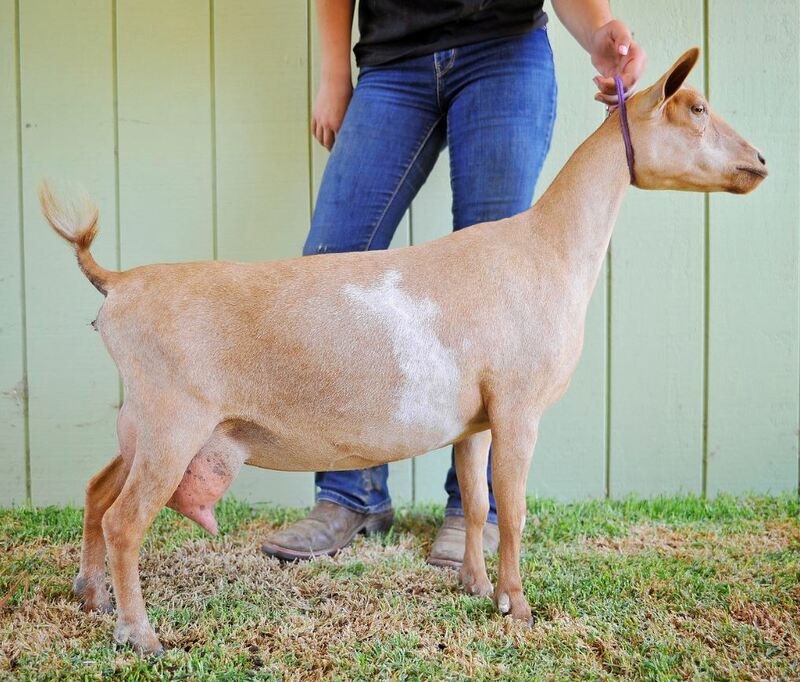 Honey Dew earned 5 Best Doe in Show awards, 11 Best of Breeds and 8 Senior Grand Champions. She has multiple Superior Genetic daughters. Her daughter Dew it Again earned an EEEE 91 at 3 years of age and her daughter Dew Ya Love Me earned a VEVE 90 at the age of four. 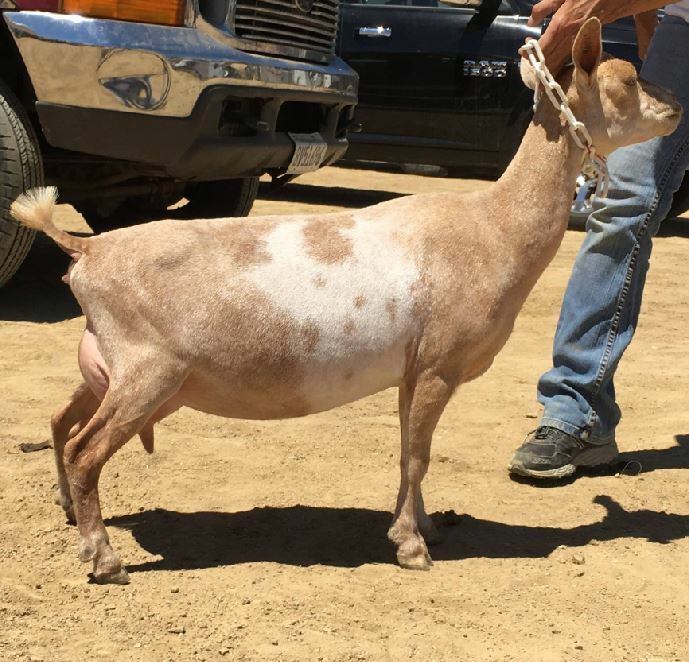 Sadie's Dam, Dew Lee Noted, is new to our herd as well and we are very anxious to get her into the show ring in 2018. 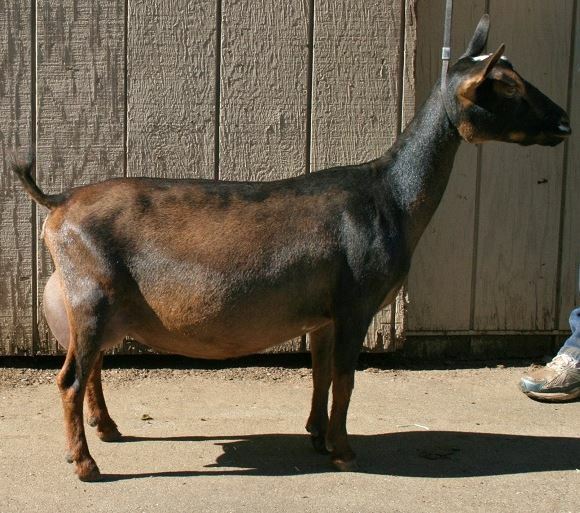 As a first freshening two-year-old she was extremely competitive in the show ring. She easily earned three Reserve Champion awards. 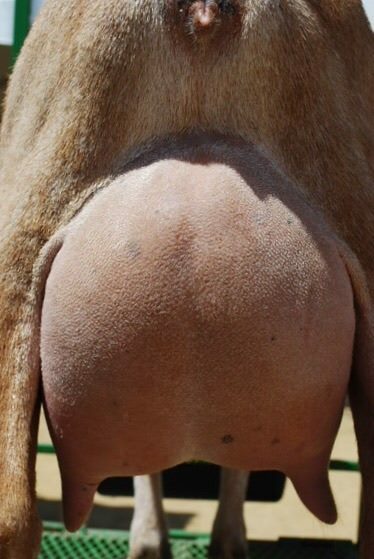 She was not shown as a second freshener, but coming into the Show Ring as a third freshener she had no trouble picking up all three of her needed Champion Legs to become a Finished Champion ! We expect to see a big jump in this score next year when she has a bit more maturity.